Being a preeminent IT company providing exceptional services, Urban Clap offers the best home services in the marketplace. 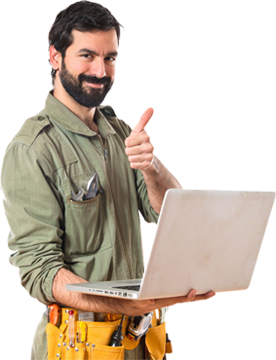 It offers amazing and reliable services for repairing devices such as computers, mobiles, laptop etc. irrespective of the brand. With a team of 200 professional technicians, Urban Clap is the fastest growing recognized startup in Dubai. The experts are well trained and have years of experience in dealing with any complex issues that occur in your computer or mobile. Besides this, in order to offer maximum satisfaction to our customers, we use specific techniques and tools to offer instant solutions to all type of issues. With a vast network, we are capable of helping thousands of people with our trusted services. This is the reason why Urban Clap is the most sought-after IT services company. Our professionals experts are dedicated to providing top-notch services to the clients as per their demands. We at first understand your problem and then work accordingly to meet up your expectations. Till date, we have successfully handled 50,000 repairs and that too with care and reliability. This is why Urban Clap has deservingly claimed the No.1 position. Trust us as we will help you get rid of your issues without any hassle.